Then, everyone around me seems to be having babies lately. I love the little cuties! I have a new nephew, and one of my best friends is due any day. I wish she was closer but her hubby is stationed in Italy. Makes it difficult to stay in touch, but thank goodness for facebook and the telephone. We were talking about babies, and pregnancy the other day. I was telling her how much I loved food while I was pregnant. 🙂 Ok, I know you aren’t supposed to go crazy with food while you are pregnant, but you have to throw caution to the wind sometimes, right?! 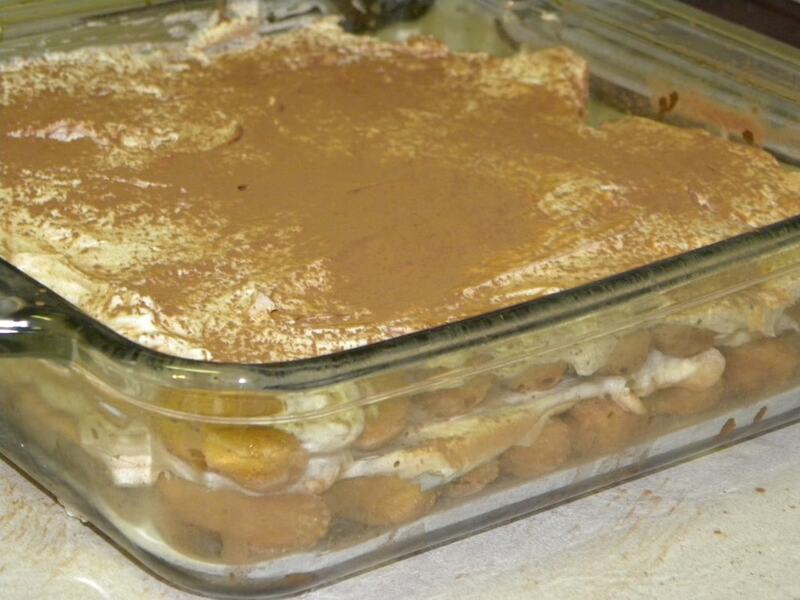 In the strange way my mind works, I was thinking desserts, and Italy, and….TIRAMISU! OH, I haven’t had Tiramisu in such a long time! It is one of those things I typically only order out! Not anymore! 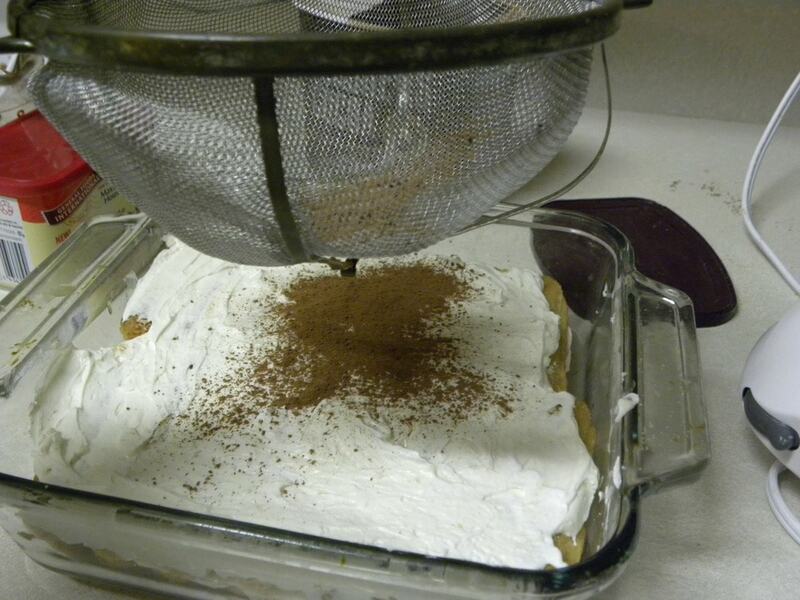 I came up with a quick and easy Tiramisu anyone can make in under 15 minutes! Pop it in the fridge, and it is ready for dessert! Wanna see? 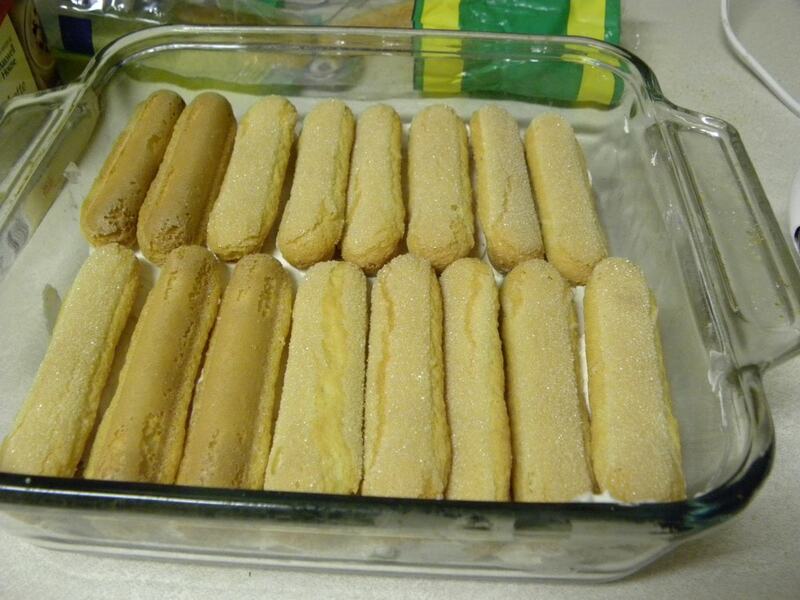 Arrange ½ pkg of ladyfingers on the bottom of a 9×9 or 8×8 baking dish. Dissolve instant coffee and 1 tsp sugar in boiling water. 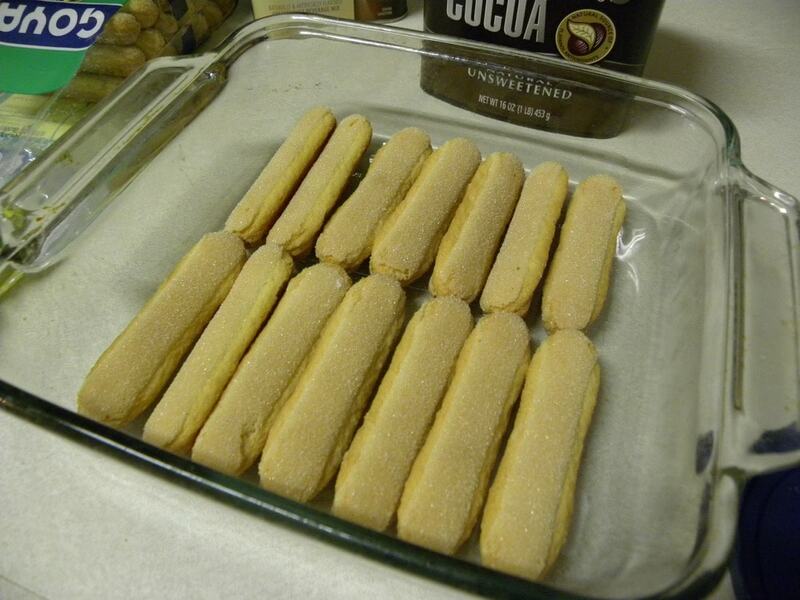 (I used instant mocha coffee for the flavor) Brush ¼ cup of the coffee mixture over the ladyfingers in the dish. 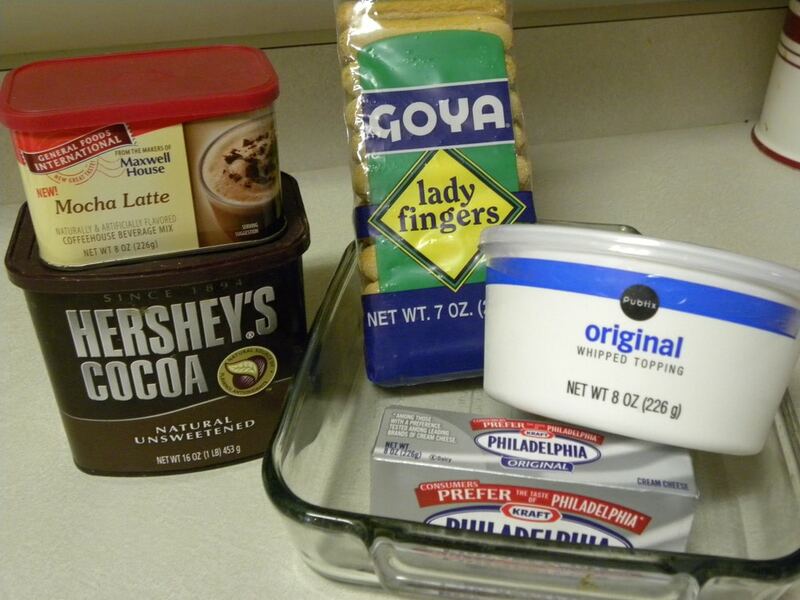 Beat cream cheese, 1/4 cup sugar, and liqueur with mixer on medium speed until it is smooth. 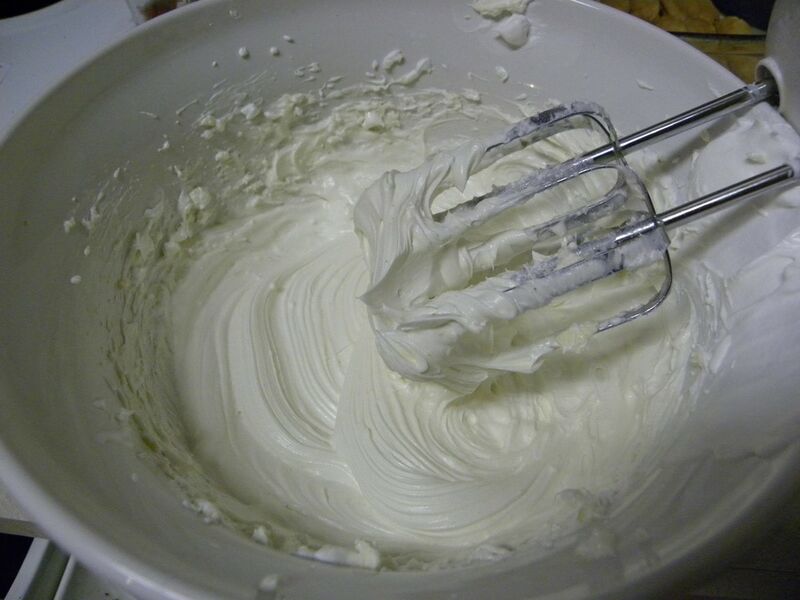 Gently stir in whipped topping. 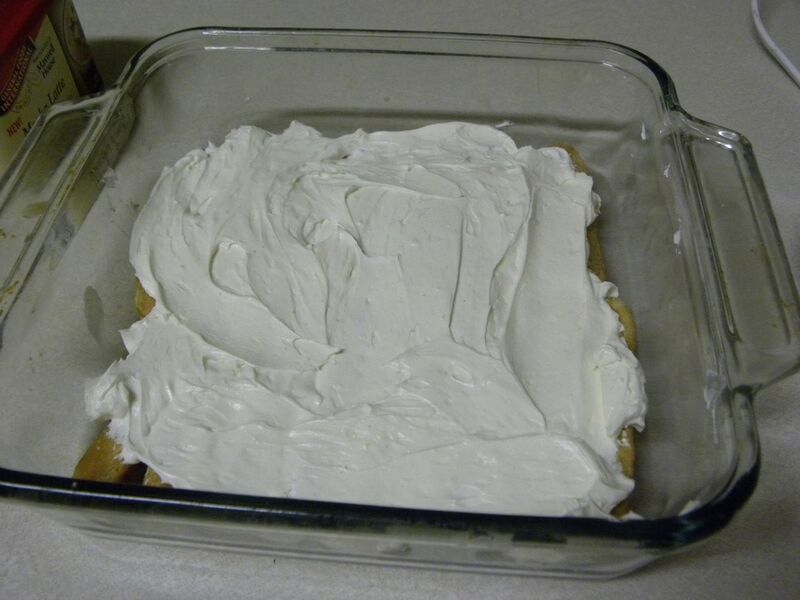 Spoon ½ of the cream cheese mixture over the ladyfingers in the dish. 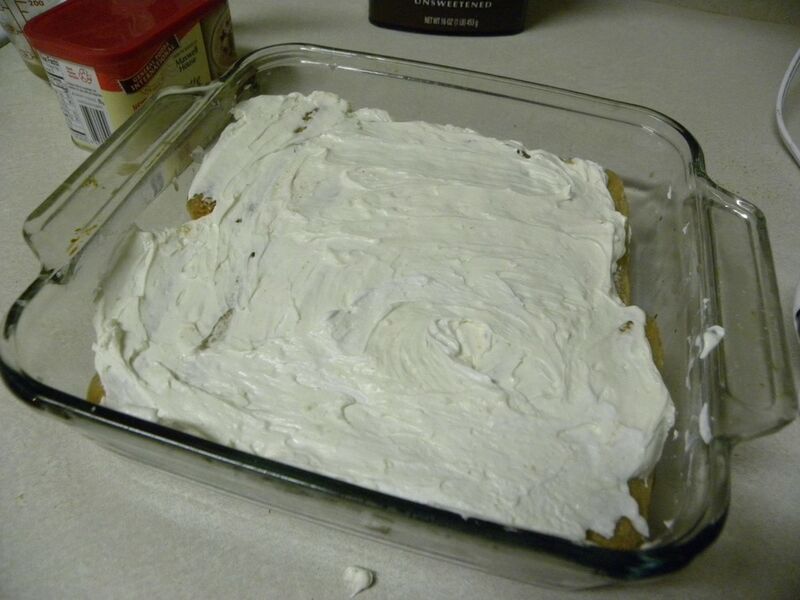 Top with another layer of ladyfingers. 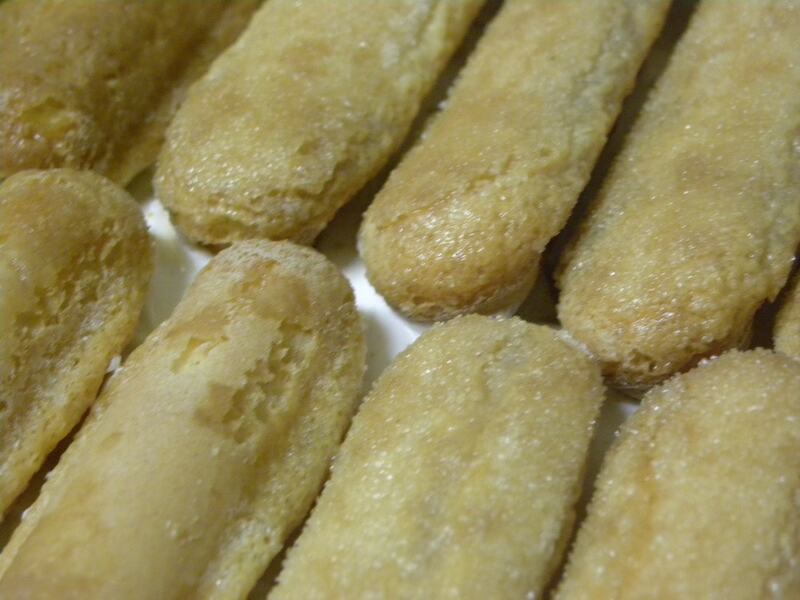 Couldn’t resist a close up of the coffee soaked ladyfingers! YUM! 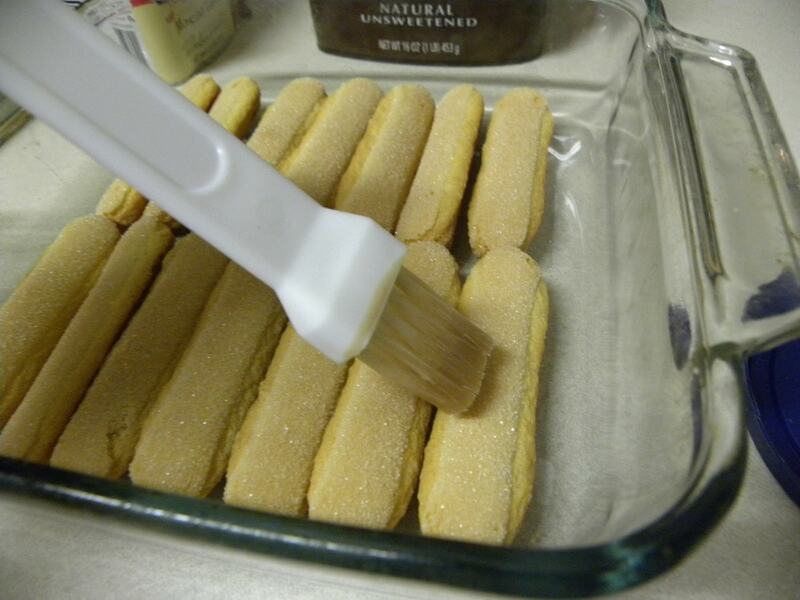 Spoon the remaining cream cheese over ladyfingers. Now, please explain to me why everyday isn’t “Snack”urday?? Want more recipes? Visit the recipe tab at the top of the page. They are all categorized for you! Yum! That sounds amazing! Now I want a snack. . .badly and it’s 9:30 and not the time for me to start snacking! That looks amazing! Thanks so much for linking up! 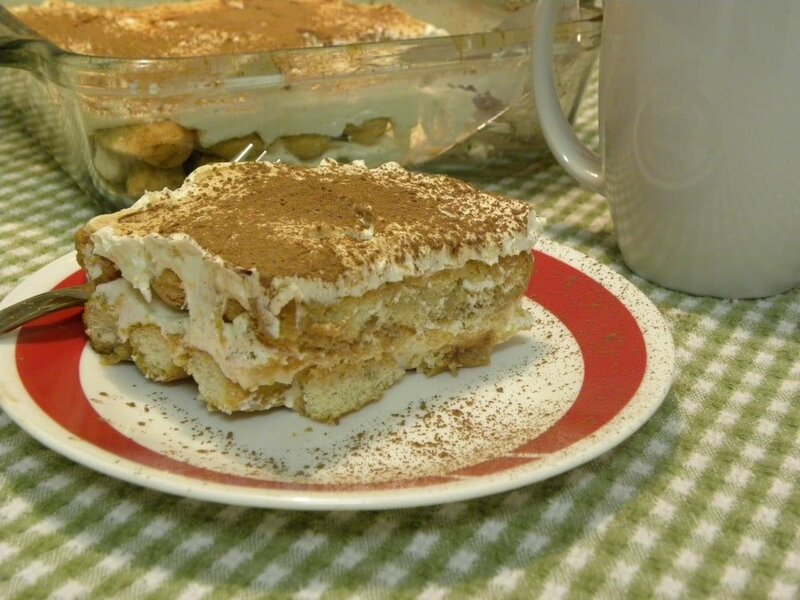 I love Tiramisu. My first real job was at an Italian restaurant when I was 16 and you can bet I ate my share of this wonderful dessert! I haven’t yet attempted making it homemade but this looks so easy. Thanks for sharing and for linking up! is this gluten free? it doesnt look gluten free. i dont have a gluten intolerance [i have a dairy intolerance] but i found out today the my cousin does. ive been following your blog for a while [heard about you from iheartpublix] and i love your recipes! [that steak and mushroom with asparagus is such a hit at my house!!!] anyway, i wanted to send your link to my cousin so she can eat delicious food while remaining gluten free [shes already lost 10 pounds because shes having SUCH a difficult time finding gluten free food.] should i just direct her to the dropdown at the top and have her select gluten free? or do you always specifically indicate that your recipes are gluten free? i see it sometimes, but not others, so im wondering if im missing something with that…dairy is easy cause i know what i cant have, im clueless on gluten and wanted to help my cousin out. thanks in advance! No this isn’t gluten or dairy free. I do post a lot of both, but do post regular recipes as well. If a recipe is gluten free or dairy free it would say. This looks so yummy!!!!!!!!!!! Thanks for linking up to Stockpiling Moms Thursday Recipe Spree! I had major anxiety about leaving Peyton to attend Camp Blogaway. I totally understand! I am making this right now and it says add sugar twice – is there supposed to be more sugar?